WALLEYE Effective Jan 1, 2016 Walleye fishing on Lake Scugog is closed. In spring, lake Scugog walleye concentrate at the mouth of the Scugog River. Troll in the main channel with black, purple, or chartreuse worm harnesses. The key is a slow presentation, with the blades of your harness just barely spinning. 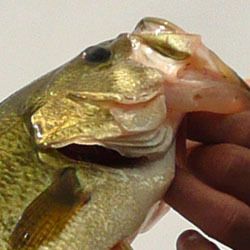 You may even pick-up a few jumbo perch using this technique. If you catch one, anchor, and use a slip-bobber, set line 6 in. from bottom and use a whole worm for bait. In summer, the Scugog walleye scatter into the main lake. Two hotspots that seem to always produce fish, are the areas around Caesarea and Port Perry. In Caesarea, go out into 7-9 ft. of water, and search for bottom transition areas (ie. gravelly rock bottom vs. mud). Troll in the gravelly areas with worm harnesses, and fish transition points with jigs tipped with worms or minnows. Near Port Perry, fish near the green and red buoys, just outside of Goreski's Marina, once again slowly trolling a worm harness. Lake Scugog pickerel/walleye average 1-2lbs, although some lunkers in the 4-5lb range are caught annually. In winter, lake Scugog becomes an ice fishing shanty town, with many areas targeted for both walleye and jumbo perch. Small pixie spoons and live minnows are both quite effective this time of year. The deeper areas of the lake in 15-17ft of water are your best bet for some ice fishing action. Check the conditions before heading out on the ice and be careful when ice fishing on Lake Scugog. CRAPPIE Crappie are very abundant in Lake Scugog. 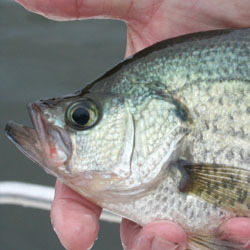 In spring the crappie can be found concentrated in river mouths and in the Scugog river. These areas are the first to ice out and the warmer waters hold many slab crappie. Fishing with jigs and bobber fishing with minnows can be very productive. The biggest catches of crappie, occur in winter, during the ice fishing season. The crappie seem to bite in the very early hours of the morning and at night, and maybe found schooled with pickerel. Minnows fished near the bottom, small spoons and tiny jigs are all good choices for catching winter crappie. Keep your eye on the line and use light tackle, lake scugog ice crappie can be very finicky and are notoriously light biters. LARGEMOUTH BASS Largemouth bass are quite abundant in this shallow lake. Lake Scugog is a virtual bass factory, with the endless masses of clumped weedbeds, lily pad bays and scattered reeds. An area that consistently produces fish is the western shoreline just north of Port Perry. In mid summer, large mats of floating weeds will be forced along the shoreline due to the wave action of wind and boat traffic. Texas rigged plastic worms and lizards slowly flipped under the mats and into pockets can produce some lunkers. Use heavy line and a stiff rod to pull these fish out of the weeds. Lake Scugog bass average 2-3lbs although some hawgs in the 5-6lb range are not uncommon. I find fishing scugog in the fall time is fantastic. I troll a lot in deeper water, I use a rapala with a deep diving action, and I troll slowly, giving the imitation minnow a slow wobble. I like to start my troll straight out from Goreski's Marina and then go a little south, this is where you will find deeper water. I look for water that is 11-14 ft and weed lines, I troll along the weed lines and wait for a hit, I find this to work great during the fall, and also find it great for catching lunkers. I've been fishing scugog for years and have heard that scugog has no lunkers, try this and you'll agree they're all wrong! I have been fishing Lake Scugog and River now for ten years. I have found the best spots to be in front of Cross Creek Marina and on the two corners south and north. I troll black mepps #3 with a 3 inch Mister Twister tail and have had good luck. This winter I took a young friend to the sandbar for his first time ice fishing. He caught a 7 pounder in his first half hour. He also got three more about 3-4 pounds. We use a green do-jigger swedish pimple spoon. Each detailed map provides depth, contours, structure, boat ramps, and updated fishing information. 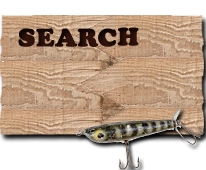 Lake Scugog fishing maps also include lake info such as gamefish abundance, forage base, water clarity, weedline depth, bottom composition, complete latitude/longitude grid lines and dozens of GPS waypoints & coordinates.